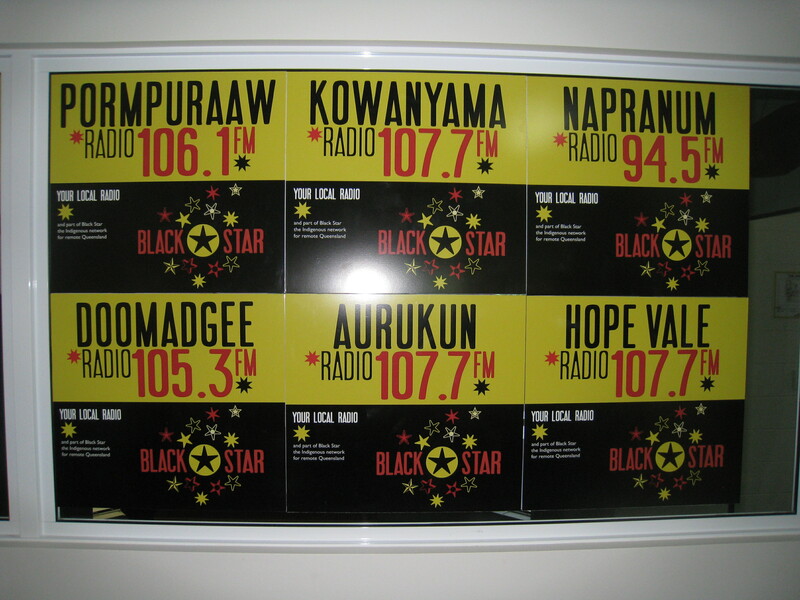 Stations on the Black Star network are about to receive custom-made signs to post around their communities and on each radio station building. Signs will also be posted at each Airport, so that when people arrive they can remember to tune their radio to the frequency of the local radio station. As the stations in our network become more secure, particularly through the greatly improved reliability of services with the introduction of the Black Star program service (more here), the take-up of new listeners to the local stations has been enormous. Feedback about the service to QRAM has been positive from community and from agencies who regularly visit the communities. Better local signage and identity is a further step in building strong radio services in the Cape, Gulf and Western Queensland.